In the permissive society that exists in our world today, the law of God (the very "transcript" of the "character" of God. – The Great Controversy, p. 434) has been trampled underfoot by worldlings and churchmen alike. The true knowledge of God has been lost sight of for hundreds of years. Questions such as: Is there a God at all? What is God like? Are there many Gods or only One? Is God male or female? These questions permeate the secular as well as the religious media and demand an answer. As we turn to the Scriptures for an answer we must bear in mind that in Jesus' day He taught that which was strange and new, that God had a Son, and this caused the Jews to cry "blasphemy!" "But we see that the God of heaven sometimes commissions men to teach that which is regarded as contrary to the established doctrines. . . But let us follow the history of the men whom the Jewish priests and rulers thought so dangerous, because they were bringing in new and strange teaching on almost every theological subject." – Testimonies to Ministers, pp. 69, 71. "For the invisible things of him from the creation of the world are clearly seen, being understood by the things that are made, even his eternal power and Godhead; so that they are without excuse." – Romans 1:20. If we are to learn of the Godhead from those things which are made (created) then we must ask ourselves which of the created things reveal what God is like. The plants and animals? Certainly not! Only the creation of mankind can show us the personality and gender of the Godhead. "And God [Elohim – plural – more than one God] said, Let us make man in our image, after our likeness: and let them have dominion .... So God created man in his own image, in the image of God created he him; male and female created he them." – Genesis 1 :26,27.
we must become as little children. Are there not three Persons with gender in the Trinity – God the Father, God the Son, and God the Holy Spirit? The FORM of Eve was certainly not the FORM of a MAN, certainly not the FORM of God, the Father, or Christ, the Son! This is easy to see when one has all the evidence. But since it is new, it is always harder to see because new revelations always come CONTRARY to our ideas. "But we see that the God of heaven sometimes commissions men [and women!] to teach that which is regarded as CONTRARY to the established doctrines." – Testimonies to Ministers, p. 69. We understand the Godhead by the things that are made! Since, according to the Holy Bible, God said, "Let US make man in OUR image, after OUR likeness," then, we understand this in the light of the things that are made here on earth. Husband and wife bring forth children. It is not the children and the father, but the mother and the father who bring forth the children. God, the Father, and Jesus did not make man, male and FEMALE, in THEIR image. Neither God nor Jesus look like a woman. Do They? But Eve was a woman, and, therefore, since she did not look like God, the Father, or Jesus, the Son, she did look like someone. God said "in OUR image;" then she must have looked like the feminine part of the Godhead – the Holy Spirit, since that part is the only One left. The Father and the Son are not feminine. "In the beginning, man [and woman] was created in the likeness of God, not only in character, but IN FORM AND FEATURE." – The Great Controversy, pp. 644, 645. Did not God make Eve from Adam's rib, and call her a FE-male? Genesis 5:2 says God called THEIR name ADAM – Mr. and Mrs. Adam (two Adams – a male and a female). Today, a man's wife is called Mrs. Jones or Mrs. Smith, that is, by the MAN'S name. (masculine); the children, whether male or female, bear the father's name (masculine). We may begin to understand how God, Jesus and the Holy Spirit are One. To begin with, Adam was one and "the rib, which the Lord God had taken from man, made he a WOman" (Genesis 2:22). Adam became two. Then from Adam and Eve came the children: three parts of a family. They were originally all represented in Adam, a masculine person. Can we understand this? Then God separated the rib, made Eve; then came the children afterward, all with the same name Adam (masculine). They were, then, all of one (flesh). So, the Godhead is explained. The things that are made explain the things that are unseen, even the Godhead (Romans 1:20). Ephesians 3:15 tells us that there is a FAMILY (a Father–Mother–Son image) in heaven: "Of whom the whole FAMILY in heaven and earth is named." "Created to be 'the image and GLORY of God,' Adam and Eve. . ." – Education, p. 20. ". . the woman is the glory of man." 1 Corinthians 11:7. Therefore, God's glory is the Holy Spirit (feminine)! "In the beginning God created both the man and the woman equal, as king and queen. 'And God blessed THEM, and God said unto THEM, Be fruitful, and multiply, and replenish the earth, and subdue it: and have DOMINION. . . Note that the dominion was given to THEM BOTH." – The Shepherd's Rod, Vol. 2, pp. 168, 169. "Male and female created he them; and blessed them, and called THEIR name ADAM (two ADAMS, a MALE and a FEMALE), in the day when THEY were created." Genesis 5:2.
" 'When He [SHE], the Spirit of truth, is come, He [SHE] will guide you into all truth.' Only by the aid of that Spirit who in the beginning 'was brooding upon the face of the waters [a mother hen broods her chicks];' of that Word by whom 'all things were made;' of that 'true Light, which lighteth every man that cometh into the world,' can the testimony of science be rightly interpreted. Only by their guidance can its deepest truths be discerned. "ONLY UNDER THE DIRECTION OF THE OMNISCIENT ONE SHALL WE, IN THE STUDY OF HIS [HER] WORKS, BE ENABLED TO THINK HIS [HER] THOUGHTS AFTER HIM [HER]." – Education, p. 134. Concerning the personality of the Holy Spirit, history will help us to understand the background of man's thinking regarding the Holy Spirit's being male, female, or neuter. "In the third century, that time of developing apostasies, Paul of Samosatar advanced a theory denying the personality of the Holy Spirit, regarding the Holy Spirit merely as an influence, an exertion of divine energy and power, an influence moving out from God and exerted on men. Then about the time of the Protestant Reformation two men, Laeleus Socinus and his nephew, Faustus Socinus, revived the theory, and many accepted it. "Not only was the personality of the Holy Spirit attacked in those early centuries, but His [Her] deity was challenged in the fourth century by Anius. . . According to Arius, the Holy Spirit is a created person." – The Coming of the Comforter, pp. 56,57, by Elder Leroy Froom. and especially as Mrs. White was preparing the chapters for The Desire of Ages (1898) concerning the promise of the bestowal of the Holy Spirit, that MESSAGES came to this people with increasing frequency, fullness, and clarity on the PERSONALITY OF THE SPIRIT. . . In earlier statements the neuter form IT was more often used when referring to the Holy Spirit. The HOUR HAD COME FOR CLARIFICATION AND EMPHASIS UPON THIS SUPREME PROVISION IN THE SALVATION AND ENABLING OF MAN." – Ibid., p. 63. Now that the light has come and is clearly seen about the gender of the Holy Spirit, all Christians, both Catholic and Protestant alike, as well as all other religions can find Biblical authority for a natural balance in the Godhead. This authoritative, Biblical explanation combats the perversion outlined in Romans 1:20-32, and should give relief to those who have a perverted view of an all male or an all female trinity, knowing that the Trinity includes both male and female – a symbol of productivity and preservation of mankind. We, as Christians, have not, until now, understood this mystery! 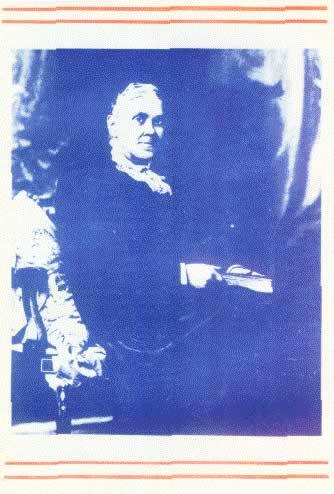 In Sister White's day she wrote that "The nature of the Holy Spirit is a mystery. Men cannot explain it, because the Lord has not revealed it to them [until 1977 and then, by a woman!]. . . Regarding such mysteries, which are too deep for HUMAN understanding, SILENCE IS GOLDEN." – The Acts of the Apostles, p. 52. The Spirit did not reveal to Sister White the GENDER of the Holy Spirit, but She did reveal to her that silence would be golden until God revealed it, so Sister White did not speculate. She revealed only that the Holy Spirit is a Person. Conclusively, therefore, if the Holy Spirit is a Person, then there is gender to be made known of that Person. In 1911, Sister White wrote (as we have already quoted) in The Acts of the Apostles, page 52, that the nature of the Holy Spirit was still a mystery and could not be understood UNTIL REVEALED BY INSPIRATION. However, Sister White did recognize the HOLY SPIRIT AS A PERSON IN 1905 when she wrote that "There are three LIVING PERSONS of the heavenly trio. . . the Father, the Son, and the Holy Spirit. . ." – Evangelism, p. 615. That is, she was saying the Spirit is a Person of the Godhead, but she did not know the gender of the Person. It was not given to Sister White to further identify the Holy Spirit as definitely He or She. Sister White stated in 1911 it was still a mystery, for she had revealed that the Holy Spirit was a Person. In Genesis 5:2 God called Eve "Adam." Sister White knowing that the Holy Spirit is a Person, was safe in calling the Person He, for had not God called Eve "Adam," and do we not call men and women MANKIND, etc., using the masculine gender, it being understood the feminine gender is included? Today the Holy Spirit is teaching that the Third Person of the Godhead is feminine; in other words, we have a Heavenly Mother, a Heavenly Father, and a Heavenly Son, if you please! This key verse of the entire Bible tells us how to understand the Trinity – "For the in visible things of him from the creation of the world are CLEARLY SEEN, being understood by the things THAT ARE MADE, EVEN HIS ETERNAL POWER AND GODHEAD so that they are without excuse." Romans 1:20. ON EARTH SATAN HAS DEFLECTED THE TRUTH AND MADE IT OFF CENTER OR PERVERTED IT. THE DOCTRINE OF MARIOLATRY IS BASED ON A TRUTH – THE HOLY SPIRIT, THE FEMININE MEDIATOR. PRAISE THE LORD FOR THE UNDERSTANDING SHE HAS GIVEN US! ". . . THE JEWISH CHURCH... CAN IN FACT BE THE SHADOW AND FIGURE OF THE CATHOLIC CHURCH ALONE." – Catholic Doctrine as Defined by The Council of Trent, by A. Nampon, p. 62. "Today's scholars suggest reasons why Mary became a powerful RELIGIOUS SYMBOL. Greeley believes that the early CHRISTIANS HAD A PSYCHOLOGICAL NEED TO EXPRESS THE FEMININE SIDE OF GOD, WHICH THEIR HEBREW FOREFATHERS SUPPRESSED. . . . Mystics found in her total obedience to God the prototype of the single soul's rapturous union with the divine, and monks stressed her perpetual virginity. Meanwhile, the mass of average believers revered her more accessible human qualities – forebearance, compassion, maternal love – AND TURNED TO HER AS 'MEDIATOR' OF CHRIST'S SAVING GRACES. . . SHE WAS 'QUEEN OF HEAVEN' and he was 'CHRIST THE KING.' Her prayer was the 'Ave Maria,' his was 'The Lord's Prayer.' NOT SURPRISINGLY, THEN, THE PROTESTANT REFORMERS REJECTED THE CULT OF MARY BECAUSE IT CONFLICTED WITH KEY REFORMATION THEMES. Among them: FIDELITY TO THE SCRIPTURE ALONE, Jesus as the SOLE MEDIATOR between God and man and rejection of the monastic life in favor of the Christian family. IN REACTION, the Catholic Counter-Reformation, with the Jesuits taking the lead, enhanced Mary as a symbol of the Catholic commitment. . . . MEANWHILE, A CURIOUS CLEAVAGE IN CHRISTIAN SENSIBILITY DEVELOPED AMONG RANK-AND-FILE CHRISTIANS . . . Today, Mary is seen as a symbol of radical Christian hope – the FIRST of mankind to be redeemed and FULLY GLORIFIED by her perfect faith in CHRIST, but TOTALLY subordinate to her son. In return, at least some Protestant ecumenists, such as BAPTIST THEOLOGIAN ARTHUR CRABTREE, HAVE BEGUN TO INCLUDE MARY IN THEIR PRAYERS AS A 'UNIQUE MEMBER OF THE CHURCH AND MODEL FOR ALL CHRISTIANS.' RELEVANCE: But the real question is whether ordinary men and women will find in Mary relevance for their own lives. THE STORY OF MARY IN HISTORY reveals DIFFERENT meanings of the Virgin Mother for DIFFERENT GENERATIONS. Certainly the TIMES ARE RIPE for an APPRECIATION OF THE FEMININE SIDE of ALL human beings – and of GOD AS WELL. And the Christmas story reminds us that Mary was not only the Mother of the Messiah but a courageous women in her own right who suffered for her singular response to God's call." – Newsweek, January 1, 1979. The Symbolic Prophecy of Mary given to the Jewish Church was: "How long wilt thou go about, 0 thou backsliding daughter? for the Lord hath created a NEW THING in the earth, A WOMAN SHALL COMPASS A MAN." Jeremiah 31:22.
the following conjectural suggestions: (1) that Israel, the woman, would return to her husband, Jehovah; (2) that conditions would be so peaceful that a woman would be able to perform the office of protector normally requiring a man; (3) that the woman is the virgin Mary and the man, Jesus; this was the view of the church fathers, among them Augustine; (4) that the woman represents Israel, who in her restoration would be stronger than her former conquerors." – Seventh Day Adventist Bible Commentary, Vol. 4, p. 467. "'How long wilt thou go about, 0 thou backsliding daughter? for the Lord hath created a new thing (a new message) in the earth. A woman shall compass a man (before the spiritual birth).' Jer. 31:22." – Seven Letters to Florence Houteff and the Executive Council of the Davidian Seventh-day Adventist Association, pp. 17, 18, by B. L. Roden. Comment: This symbolic prophecy envisions the complete encirclement of the church – SHE, The Lord Our Righteousness – by the power of the Holy Spirit, in the last days, when Divine love is manifested in a wall of fire around about Jerusalem, "for in mount Zion and in Jerusalem shall be deliverance, as the Lord hath said, and in the remnant [Church, SHE] whom the Lord shall call.." Joel 2:32. This prophecy was a further illumination of Genesis 3:15: "And I will put enmity between thee and the woman, and between thy seed and her seed; it shall bruise thy head, and thou shalt bruise his heel." 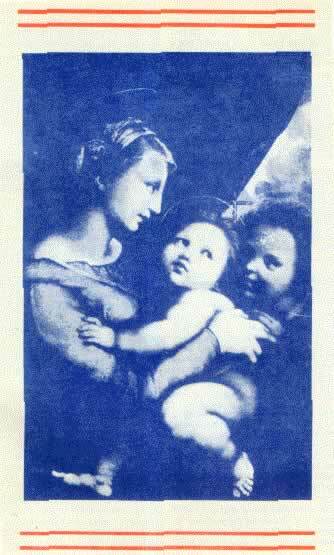 Mother and child (female and male image of God) which were revealed in Genesis 1. "In those days, and at that time, will I cause the Branch of righteousness to grow up unto David; and he shall execute judgment and righteousness in the land. In those days shall Judah be saved, and Jerusalem shall dwell safely: and this is the name wherewith SHE [The Branch] shall be called, The Lord our righteousness." Jeremiah 33:15,16. "In the beginning God created the heaven and the earth." Gen. 1:1. "And God said, Let US make man in OUR image, after OUR likeness: and let THEM have dominion . . . So God created man in his OWN image, in the image of God created he him; MALE and FEMALE created he THEM. And God blessed THEM, and God said unto THEM. . . have dominion . . ." Genesis 1:26-28. Christian goddesses. Explains Greeley: 'Mary is the Catholic Christian religion's symbol which reveals to us that the Ultimate is androgynous, THAT IN GOD THERE IS BOTH MALE AND FEMALE . . . .'NEW EVE': Much of the current interest in the Virgin is frankly ANALYTICAL – an effort to discover how and why she emerged as the dominant FEMALE IMAGE IN WESTERN ART AND CULTURE . . . .Through her acceptance of God's call to be mother of the Messiah, Mary becomes in Luke's hands the 'NEW EVE' who symbolizes the LINK between the OLD Israel and the 'NEW Israel' of believers in Christ. Only in A.D. 431, at the Council of Ephesus, did the early church fathers give Mary her first additional title: 'Mother of God.'" Newsweek, January 1, 1979. Let us reason together. Since "The understanding of the Holy Spirit as female is also Jewish or Semitic" (New Testament Apocrypha, p. 160), then Satan has perverted this truth by the worship of the PERSON of Mary rather than that of the Holy Spirit, the Third Person of the Trinity, our Mediatrix in heaven. Since Romans 8:26 shows the Spirit to be an intercessor or mediator ("but the Spirit itself maketh intercession for us"), Satan has used this truth to promote the Mary mediatrix teaching. "Louis De Berquin, a member of the noble family of Artois, and a Huguenot at the court of Francis I, was three times charged with heresy and imprisoned. Finally he was burned at the stake, to become France's first Protestant martyr . . . .for in his books [he had written] . . . . 'The Virgin Mary is improperly invoked instead of the Holy Ghost.'" – Heroes of the Reformation, pp. 132, 133, by David & Hilda Hagstotz. Thus we can now understand the basis for the doctrine of Mariology which arose as a result of a lack of understanding of the gender of the Holy Spirit, the third Person of the Godhead (Trinity). "And the times of this ignorance God winked at; but now commandeth all men every where to repent." Acts 17:30. How thankful we should be that the Heavenly Family have revealed Themselves to us! The Jews had to accept the revelation of the Son to be saved, but they rejected and crucified Him. Shall we, like the Jews, crucify the personal representative of the Holy Spirit also, for which there will be no forgiveness? "Wherefore I say unto you, All manner of sin and blasphemy shall be forgiven unto men: but the blasphemy against the Holy Ghost shall not be forgiven unto men." Matthew 12:31. Now, we must accept the revelation of the Mother to reach final perfection in the Righteous Kingdom. The Bible is really about the Father and the Son; the Old Testament being about the Father and the New Testament about the Son, since the Spirit came not to speak of Herself but of Her Son, Christ! John was told not to write the seven thunders (Rev. 10:4), but they are now being revealed. They are a revelation of the Holy Spirit and Her work from creation to the restoration of the land "like the garden of Eden." Eze. 36:35. We believe the Bible more than ever before, since we are now becoming acquainted with the Author of the Bible, the Holy Spirit, Who, up until now, has been telling us about the personality and gender (masculine) of the Father and the Son! tion of the Trinity! Now we can see more clearly the value of studying the book of nature. "For the invisible things of him [and her] from the creation of the world are clearly seen, being understood by the things that are made, even his [and her] eternal power and Godhead; so that they [mankind, male and female] are without excuse." Romans 1:20. In the things that were made God has cleared the gender of all three persons of the Godhead; therefore, we are without excuse if we do not know. 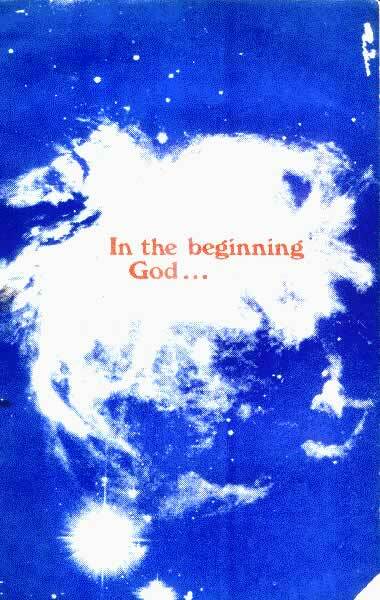 "In the beginning God created the heaven and the earth. And the earth was without form, and void; and darkness was upon the face of the deep. And the Spirit of God moved upon the face of the waters." Gen. 1: 1, 2. We see the Father and the Holy Spirit mentioned by name in the beginning; two persons of the Godhead who said: "Let US make man in OUR image, after OUR likeness: and let THEM have dominion over the fish of the sea, and over the fowl of the air, and over the cattle, and over every creeping thing that creepeth upon the earth. So God created man in his [and her] own image, in the image of God created he [and she] him; MALE and FEMALE created he [and she] THEM." Gen. 1 :26,27. It is not until Genesis 3:15 that a mention is made of the Son, another masculine figure, who was "the express image" (Hebrews 1:3) of the Father. "This is the book of the generations of Adam. In the day that God created man, in the likeness of God made he [and she] him; Male and female created he [and she] them; and blessed them, and called their name Adam, in the day when they were created." Gen. 5:1,2. "And the Lord God formed man of the dust of the ground, and breathed into his nostrils the breath of life; and man became a living soul." Gen. 2:7. Adam was of the earth, and was earthy (John 3:31; 1 Corinthians 15:47). His death was recorded in the Bible (Genesis 5:5). "And the Lord God took the man, and put him into the garden of Eden to dress it and to keep it." Genesis 2:15. "And the Lord God caused a deep sleep to fall upon Adam, and he slept: and he took one of his ribs, and closed up the flesh instead thereof; And the rib, which the Lord God had taken from man, made he a woman, and brought her unto the man. And Adam said, This is now bone of my bones, and flesh of my flesh: she shall be called Woman, because she was taken out of Man." Genesis 2:21-23. Eve was formed from living flesh and bone, a different (higher) order of creation than Adam, and became a symbol on earth of the Holy Spirit who is ever living. Her death was not recorded in the earth. "And Adam called his wife's name Eve because she was the mother of all living." Gen. 3:20.
name) who in the end of the world would bring forth a message of truth about the Everliving Church (the woman of Revelation 12:16, 17) of those everliving ones, kings and priests of the most high God, who would be translated without seeing death. "And Melchizedek king of Salem brought forth bread and wine: and he was the priest of the most high God." Genesis 14:18. "It was Christ that spoke through Melchizedek, the priest of the most high God. Melchizedek was not Christ, but he was the voice of God in the world, the representative of the Father." – Selected Messages, Book 1, p. 409. "The Holy Spirit is Christ's representative, but divested of the personality of humanity and independent thereof." The Desire of Ages, p. 669. According to the maxim, that two things equal to the same thing are equal to each other, we conclude that as Melchizedek is Christ's representative and the Holy Spirit is Christ's representative, then the Holy Spirit is Melchizedek. Melchizedek was not Christ, not the Father, but was a representative of both. Therefore: if Melchizedek was not either Christ or the Father the only One left of the Trinity to take the title would be the Holy Spirit, the third person of the Godhead. By simple reasoning one can easily see that Melchzedek is the Holy Spirit (who is of feminine gender according to the story of creation and Romans 1:20).
" 'I will tell you who Melchizedek was. He was the Holy Spirit, the third person of the Godhead, who took the form of humanity and represented the Lord Jesus to that generation.' Heb. 7:3. '. . . like unto the Son [as a Priest] of God abideth a High Priest continually." – Comment by E. G. White on Melchizedek, as printed in The Liberator, Vol. 17, No. 7. "As he saith also in another place, Thou art a priest for ever after the order of Melchisedec." Heb. 5:6. That is, Christ after His resurrection was to be ever living, though He gave His life that others might not die, but live forever. "Called of God an high priest after the order of Melchisedec. Of whom we have many things to say, and hard to be uttered, seeing ye are dull of hearing. For when for the time ye ought to be teachers, ye have need that one teach you again which be the first principles of the oracles of God; and are become such as have need of milk, and not of strong meat. For every one that useth milk is unskillful in the word of righteousness: for he is a babe. But strong meat belongeth to them that are of full age [matured by the Holy Spirit], even those who by reason of use have their senses exercised to discern both good and evil." Hebrews 5:10-14. Not limited to any certain form the Holy Spirit appeared as a King* to Abraham. Only a member of the Godhead fits the description of this Personage, whose Priesthood existed before the Priesthood of Christ was revealed on the day of Pentecost (Christ's Object Lessons, p. 120; Hebrews Chapter 5) and is in force continually from the beginning of the world to the end thereof. "And as I may so say, Levi also, who receiveth tithes, payed tithes in Abraham. For he was yet in the loins of his father, when Melchisedec met him. If therefore perfection were by the Levitical priesthood, (for under it the people received the law,) what further need was there that another priest should rise after the order of Melchisedec, and not be called after the order of Aaron? For the priesthood being changed [from the Levitical to the one after the order of Melchisedec], there is made of necessity a change also of the law." Hebrews 7:9-12. (Christ) "Called of God an high priest after the order of Melchisedec." Heb. 5:10. Here we see three priesthoods in prophecy, the Melchisedec, the Levitical, and the priesthood after the order of Melchisedec: that of the Holy Spirit first, Aaron second, and that of Christ after the order of Melchisedec, the third. The first, the order of Melchisedec, is an everliving priesthood and is yet to be restored in the time of the end. At the resurrection of Christ, the priesthood after the order of Melchisedec was established when the wave sheaf was raised and taken to Heaven with Christ and on the day of Pentecost they were inaugurated with Him into His mediatorial Kingdom. "As Christ arose, He brought from the grave a multitude of captives . . . .They were those who had been colaborers with God, and who at the cost of their lives had borne testimony to the truth." – The Desire of Ages, p. 786. "Those favored, risen saints came forth glorified. They were chosen and holy ones of every age, from creation down even to the days of Christ." – The Story of Redemption, p. 233. "He [Christ] enters into the presence of His Father. He points to His wounded head, the pierced side, the marred feet; He lifts His hands, bearing the print of nails. He points to the tokens of His triumph; He presents to God the wavesheaf, those raised with Him as representatives of that great multitude who shall come forth from the grave at His second coming." – The Desire of Ages, p. 834. ". . after Christ's ascension His enthronement in His mediatorial kingdom was signalized by the outpouring of the Holy Spirit. On the day of Pentecost the Spirit was given." – Christ's Object Lessons, p. 120. "And it is yet far more evident: for that after the similitude of Melchisedec there ariseth another priest, Who is made, not after the law of a carnal [subject to death] commandment, but after the power of an endless life." Hebrews 7:15, 16. In a primary sense, this prophecy applied to (a masculine person) Christ's priesthood, but in the secondary application, it applies to the end of time in which one like (a similitude–likeness) Melchisedec the Holy Spirit is to appear with the same gender as the Holy Spirit, in the flesh, as revealed in the creation story. by him that said unto him, The Lord sware and will not repent, Thou art a priest for ever after the order of Melchizedek:)" Hebrews 7:21. Christ was the Son of Melchisedec, the Holy Spirit (a likeness of), not the person of Melchisedec. "The Holy Ghost [Melchisedec] this signifying, that the way into the holiest of all was not yet made manifest, while as the first tabernacle was yet standing." Heb. 9:8. The tabernacle of Moses revealed the earthly (Levitical) priesthood which was a prototype of "another" to come, even an Heavenly, the Melchisedec Priesthood. "But Christ being come an high priest of good things to come, by a greater and more perfect tabernacle in Heaven, not made with hands, that is to say, not of this building." Hebrews 9:11. "How much more shall the blood of Christ, who through the eternal Spirit [the Holy Spirit, Melchisedec, the priest of the Most High God] offered himself without spot to God, purge your conscience from dead works to serve the living God [Christ was the antitype of the wave sheaf offering, not the wave loaf offering, until the day of Pentecost]?" Hebrews 9:14. This prophecy pointed to the time of the end when a priesthood would be brought forth from among the living to be translated without seeing death (of no required tribal lineage, for Melchisedec was of no lineage). That is, we see a group of antitypical wave sheaf (of the living) who will receive their priesthood first before the 144,000 receive theirs on the day of Pentecost. In the type the wave sheaf was resurrected with Jesus and offered and glorified on the 18th day of the 1st month at Passover time. It was the wave sheaf that gathered the 120. Thus a sanctified and glorified ministry today will gather the 144,000 (the antitypical wave loaves) who will be offered on Mt. Zion on the day of Pentecost (in the third month). "Melchizedek. . . Having been both king of Jerusalem and also priest of the Supreme God of heaven and earth, he is set forth as a type of Christ, who also united the office of king and priest in Himself (Ps 110:2-4; Heb 6:20 to 7:21)." – Seventh Day Adventist Bible Dictionary, p. 703. Melchizedek was the priest of the Most High God who served the bread and wine to Abraham, the man of faith in the Old Testament, and blessed him. Melchizedek repeated the prophecy of Genesis 3:15 about a child of promise to be born of Sarah. This child (Isaac) was a symbol of The Christ born in the flesh to Mary – One (a priest like Melchizedek) who would institute the ordinance of the bread and the wine to the disciples, men of faith, in the New Testament. Melchizedek, the Holy Spirit, appeared as a man* with a masculine title. Since the Holy Spirit is not confined to any certain form, then, the masculine family name can be used to designate the feminine member of the Godhead. For example: Smith, the masculine family name of the father is also the name of the mother and the children, whether male or female. Melchisedec is an intercessor (Romans 8:16, 26,27; Hebrews 9:14), an Eternal High Priest in both the Old and New Testament periods. "In a primary sense, this prophecy applied to (a masculine person) Christ's priesthood, but in the secondary application, it applies to the end of time in which one like (a similitude-likeness) Melchizedek the Holy Spirit is to appear with the same gender as the Holy Spirit [feminine], in the flesh, as revealed in the creation story." [brackets added].